Who feels like you’ve lost a part of yourself in motherhood, and carry too much guilt? Watch this video below to learn what I think about “Mom-Guilt”, why you don’t need to be feeling it all the time and how learning to release it will help you in connecting with your authentic self and reclaiming your identity. Are you the same as you were before? Are you entirely different? Or maybe somewhere in between? I like to think that the essence of who you are is the same.... while you’ve also morphed into a new version of YOURSELF. When you find yourself wondering “who am I?” ... I encourage you to check in and notice if you’ve been second guessing yourself lately or maybe giving too much of yourself away. Tune into yourself, your inner voice. Listen carefully. You might be surprised at what happens when you allow yourself to connect TO YOURSELF. 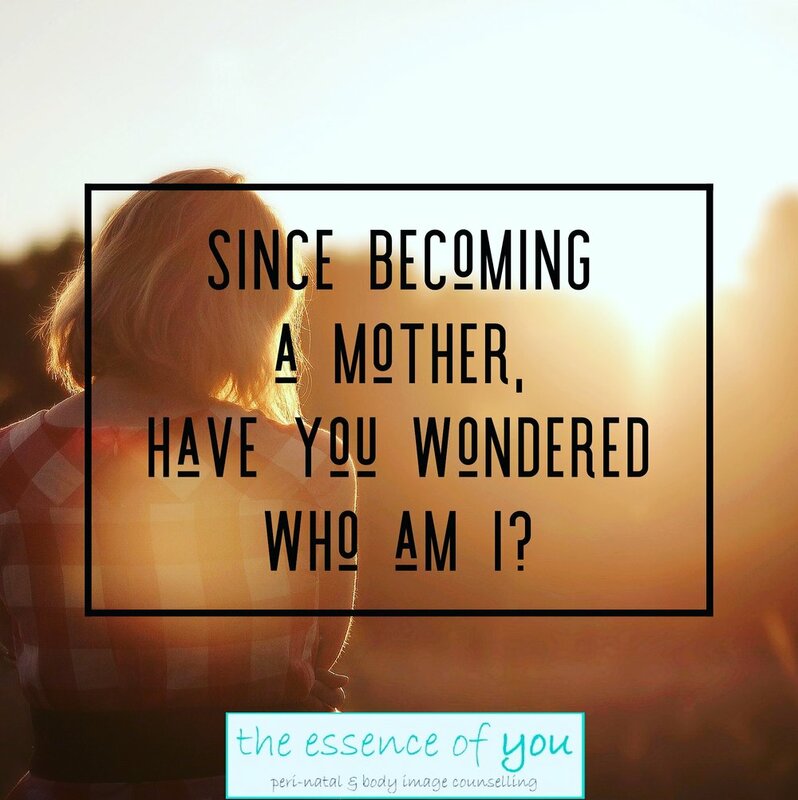 If this is an area you would like to be supported in, come to my next workshop “Reclaiming Your Identity & Releasing Guilt in Motherhood”. You will be supported to connect to yourself on a deeper level. Participants will have an opportunity to explore: qualities within yourself that represent who you are, reconnecting with lost parts of yourself and letting go what is no longer serving you, and self-care strategies that help you be your authentic self. Why wait to start feeling better within yourself? Register now for Jen’s workshop “Reclaiming Yoir Identity & Releasing Guilt in Motherhood”. Jen offers this workshop in-person in the Calgary area and also in an interactive online format. JEN IS A COUNSELLOR IN CALGARY, ALBERTA. JEN OFFERS WORKSHOPS AS WELL AS INDIVIDUAL COUNSELLING ONLINE & IN PERSON IN CALGARY, ALBERTA. IF YOU ARE INTERESTED IN BOOKING A SESSION WITH HER OR ATTENDING ONE OF HER GROUPS OR WORKSHOPS, VISIT THE ESSENCE OF YOU WEBSITE OR CONTACT JEN DIRECTLY.